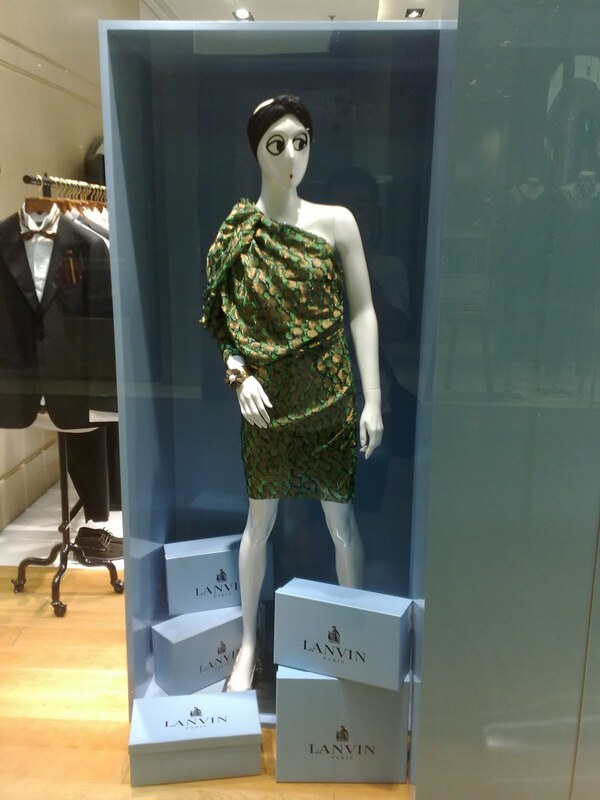 Lanvin window display is always creative and have some funny things. 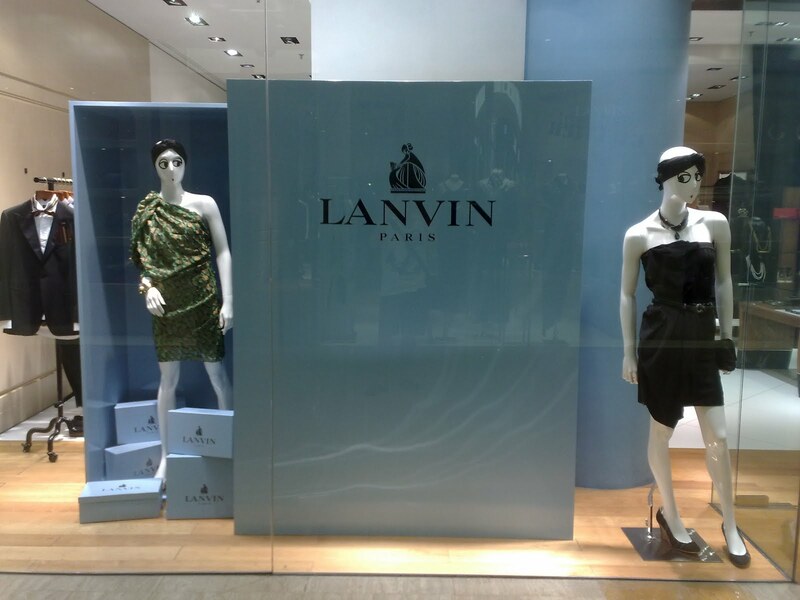 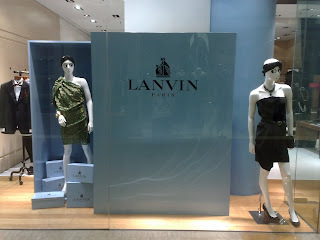 The latest update shows a giant Lanvin blue box, the signature color of this brand of course. 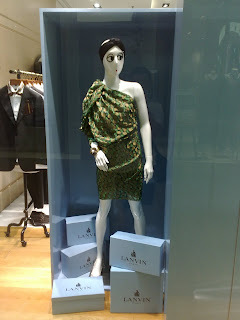 There are a mannequin and other little blue boxes inside this box as if this box is a Christmas parcel.